These boys won’t keep still for a photo…ever, this is the best I could get. 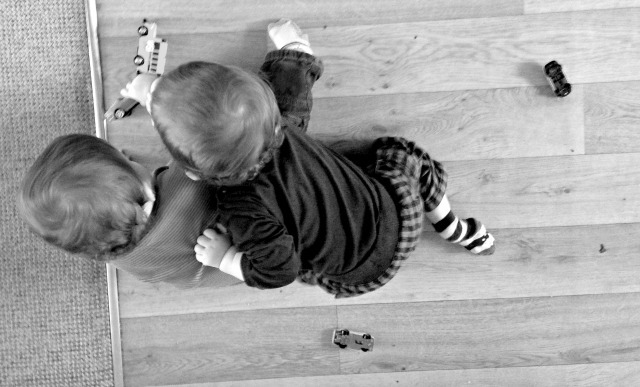 This week has been all about cars and even though it looks like they were fighting over them they were actually playing together. Brandon has figured out that the wheels need to be on the ground so he can run them along to floor. Arthur hasn’t quite managed that yet and is content to just run then along people’s arms which is exactly what he was trying to do to Brandon! I love that they entertain each other, I watched them play like this for far too long when I could have been getting other things done while they were quiet.